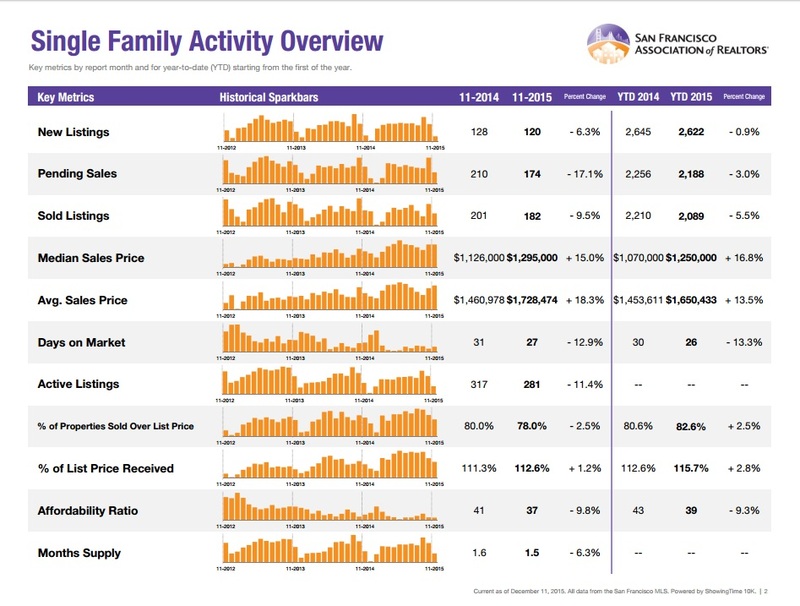 New Listings were down 6.3 percent for single family homes and 4.2 percent for Condo/TIC/Coop properties. Pending Sales decreased 17.1 percent for single family homes but increased 6.0 percent for Condo/TIC/Coop properties. The Median Sales Price was up 15.0 percent to $1,295,000 for single family homes and 10.3 percent to $1,125,000 for Condo/TIC/Coop properties. Months Supply of Inventory decreased 6.3 percent for single family units but remained flat for Condo/TIC/Coop units.